With warmer weather quickly approaching, you may have your eye on perfecting your golf swing! If you have suffered from sports-related injuries in the past, or even if you have simply endured the usual aches and pains of daily life, it is important to consider taking measures to keep your body in top condition on the golf course – and off. Pay close attention to your feet. The big toe, forefoot, and heel are all extremely vulnerable when you swing a golf club. The right footwear and proper preventative measures could effectively lower your risk of causing an injury or developing arthritis, plantar fasciitis, or other painful ailments over time. The big toe bears quite a bit of excess weight when you swing. An out-of-practice swing could lead to twisting or reaching too far, contorting the big toe into an unnatural position. After repeating this motion several times, cartilage can wear out, or joints can be jammed, leading to sharp pains and ultimately, arthritis. Once this is the case, a permanent fix is difficult and often involves surgery or injections. The ball of the foot and the heel can also take on additional weight during a golf swing. Golf shoes that are tight can exacerbate problems, and repeated exertion can lead to heel spurs, nerve issues, or even sprained ankles. Athletes who are on their feet, twisting, turning, and shifting weight can experience weakening of the feet and ankles if they don’t wear the right footwear and ignore tenderness. Choose shoes that are not too tight and provide adequate support. Orthotics are another great option for alleviating stress and pain on all parts of the foot. These custom inserts can help reshape shoes to fit your unique foot, providing vital arch support. Orthotics are now widely available without a visit to a doctor, but an orthopedic specialist can help provide insight regarding the type of orthotics you will need to suit your lifestyle and activity level. Additionally, preparing for each golf practice with proper stretching exercises can work wonders. Your stretching routine should incorporate exercises to flex the muscles in your feet and ankles. Furthermore, if you are experiencing pain, or if you are worried about injuring yourself on the golf course, you should see your orthopedic specialist. Beyond preventative measures such as replacing old or tight shoes, stretching, or having orthotics made, a specialist can treat chronic pain, provide physical therapy, and address more serious issues that develop over time. Foot and ankle weakness become worse over time. If you have concerns, call the Orthopaedic Specialists of Connecticut team at 203-775-6205 and book your appointment today. We offer the latest, innovative treatments and deliver the personal attention you deserve when dealing with an injury, chronic pain, or more serious orthopedic issues. You can also find more information about our services by visiting the Orthopaedic Specialists of Connecticut website. 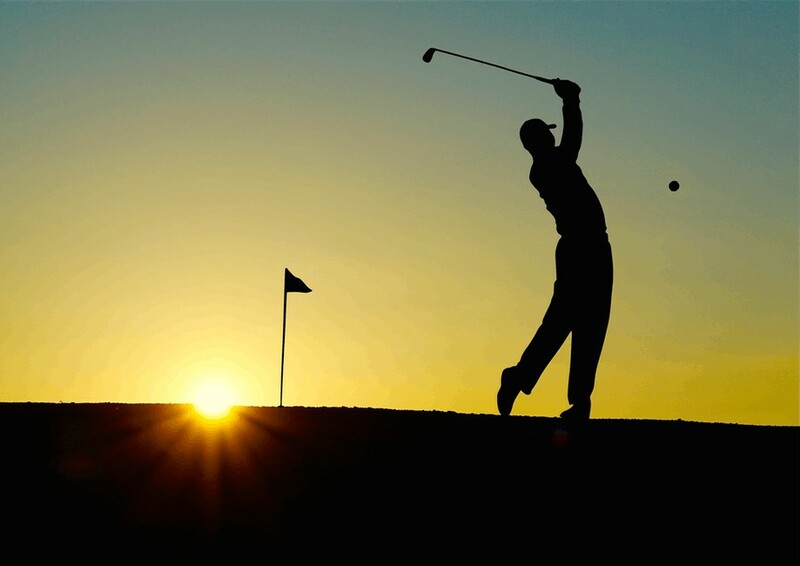 We would love to help you get back to living life – and hitting the golf course – free of pain!